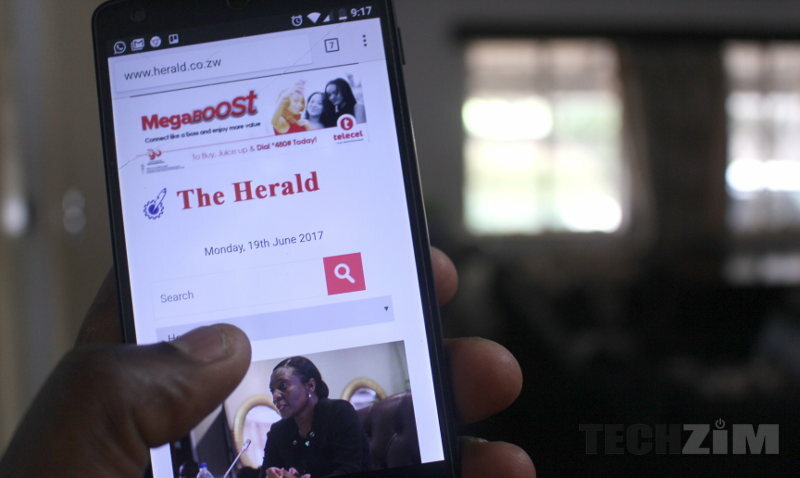 Zimpapers, the country’s largest news company by readership (listener-ship and soon viewership as well) has appointed a new general manager to oversee the group’s Digital and Publishing Division. The new head, Marks Shayamano, is a Zimpapers veteran who has apparently been with the company since 1985. He was recently the GM of Zimpapers in Buawayo where he’s credited with turning around the operations of the regional branch. In short hes a guy that probably knows a thing or two about ensuring profitability for a publisher. Essentially, Shayamano is now in charge of the company’s future with regards to making sense of the internet. That the internet is a huge disruption to content delivery and consumption (whether that’s text, audio or video) is not without doubt anymore. The question is how fast the acceleration of audience migration to digital platforms will be. The current offline/online Zimpapers structure doesn’t incentivise the internet business unit to innovate because that business is not paying any costs. That business likely doesn’t know if it’s doing well or not. This is not an effective way to prepare for a future where print circulation and revenue will continue to decline. By not separating digital and print publishing, Shayamano will probably do well whether digital does well or not. Having digital and print under the same division has the high risk of providing a false sense of relevancy of the company’s business model. A better structure would be separating digital and print publishing completely and demanding results from the digital division. That structure would let the digital guys know that it’s ok to compete with their print cousins in the group. That way Zimpapers can start eating its own lunch, so to speak, before someone external does it. And that article about internet trouble makes it clear the externals have already started eating that lunch. Zimpapers needs to reduce the size of the paper print. Printing large sized is costly in the digital world. They can keep all the colours, print styles etc except the size. A lot of papers have found this as the best way to save money and keep paper print a bit profitable. “soon largest viewership”? again state propaganda. Do these novices compare with DStv? please give us a break. State info media tries to think for its audience which I find not only highly condescending but pathetic. I have successfully stayed away from it since 1999.